Cake. Caramel. Get Carried away! Gather your ingredients. 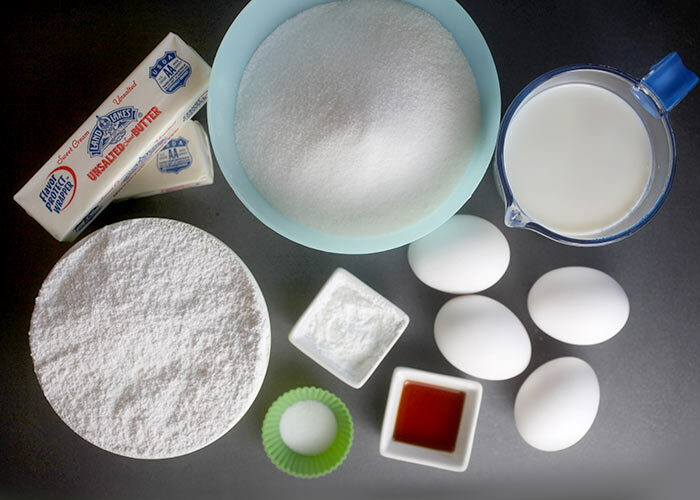 Butter, flour, sugar, milk, eggs, baking powder, salt and vanilla. Then start the cake making and get to mixing. 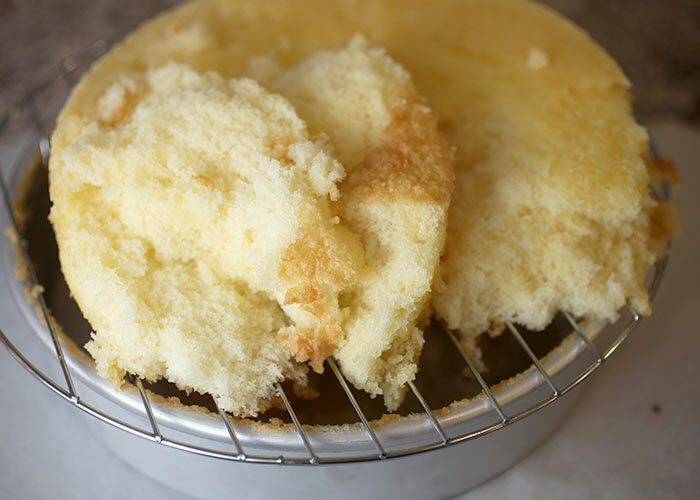 Then get really bummed when you take your cake out of the pans too soon before they’ve cooled… and just before your going to take it to a friend’s house for dinner … in just over an hour. Have you been there, too? Ugh. So disappointing. So that’s when the caramel layer cake I’d been dying to make became carefree. And that’s perfectly okay, because this was one of the best tasting yellow cakes. It was so so good. Oh my gosh I could hardly stop eating pieces of it. But thankfully I stopped in time to save enough cake and turn them into personal desserts that I could easily carry. Little jars. Big save. Score. Now to make the caramel icing so I can layer it on. Brown sugar, butter, evaporated milk and vanilla makes one thick glorious icing. You have to spread it quickly while it’s still warm because it will harden when it cools … that is if you’re icing a cake. But in jars, and in a hurry… spooning it in worked just fine. My friends certainly didn’t mind. 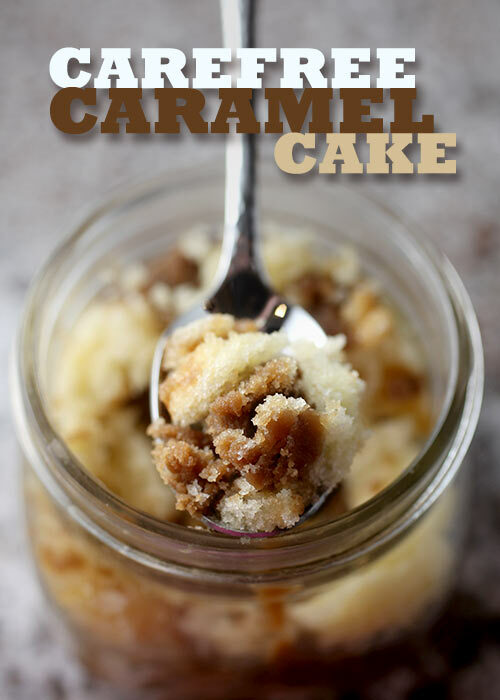 This caramel cake recipe came from a cute little book I have called Southern Cakes by Nancie McDermott. Preheat oven to 325 degrees fahrenheit. Grease and flour two 9 inch cake pans. Combine butter and milk in a small saucepan and heat on low until the butter melts. Stir and let cool to room temperature. Meanwhile, combine flour, baking powder and salt in a medium bowl using a wire whisk. In your mixing bowl, beat eggs and sugar on high, scraping down the bowl often. Beat until light yellow, smooth and thick. 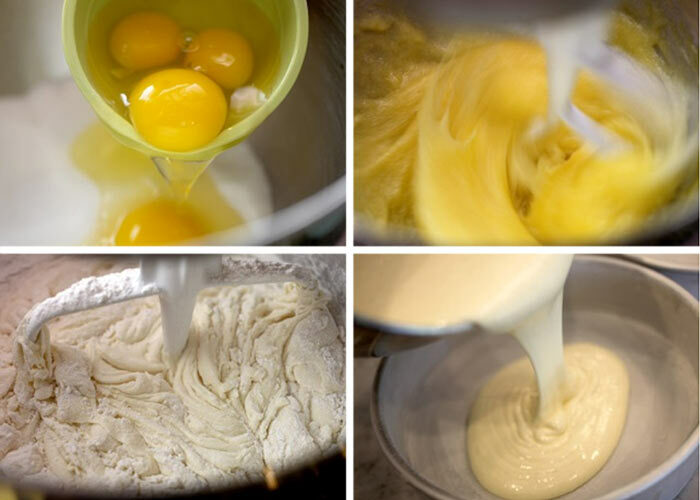 Stir the flour mixture into the egg mixture. Mix just until the flour disappears. Add the cooled milk and butter mixture and then the vanilla. Stir well and pour into prepared pans. Bake at 325 for 25 - 30 minutes until cakes are pale golden brown and begin to pull away from the sides of the pans. 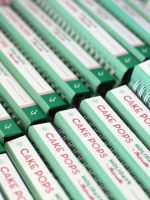 Cool for 10 minutes on wire racks and then turn cakes out onto wire racks to cool completely. 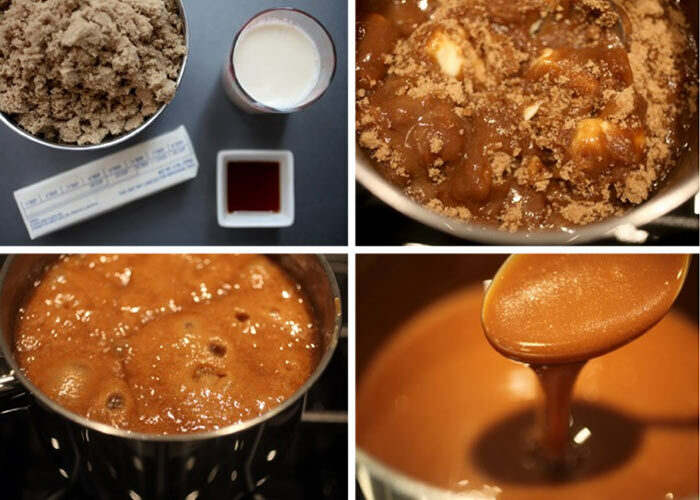 To make the icing… In a medium saucepan, combine brown sugar, butter, evaporated milk, and vanilla. Bring to a boil over medium high heat. Stir well and adjust heat so that the frosting boils and bubbles gently. Cook for 7 minutes. Remove from heat and cool for 5 minutes. 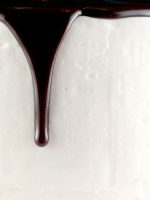 Beat warm icing with a wooden spoon for 2-3 minutes until it thickens. 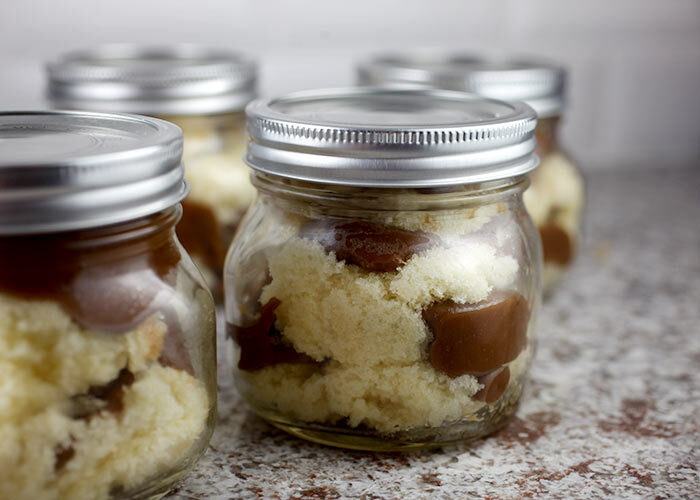 Ice cake quickly or simply spoon into jars for easy carrying. Enjoy! This looks DELISH!!!!! Can’t wait to try this out! i love the little jars! i could eat at least 3! I love Carmel. And Cake. And Food in jars! This is going on my to-do list right away! Oh my. I love caramel cake. You can carry some to my house. Yum! I’m on a caramel & coconut kick lately, so I’d top that deliciousness off with some toasted coconut. Oh, God. 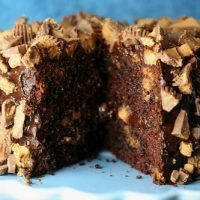 This makes me wish I had a jar with cake right now so bad. So cute!! Oh yum! Instant cravings for this! My grandmother called this her Lazy Daisy cake, and we didn’t cook the frosting. Pour it on the hot cake, then back in the oven, under the broiler until it bubbles all over. Then serve it from the pan, I guess that’s the Lazy part! What a great little way to serve up something yummy and a very novel way of bringing a dessert to a…say…pot-luck or anywhere else. Very portable. Thanks for sharing. Looking forward to more goodies. Oh man, so easy!! Love this! Way to improvise. They look way cuter in jars anyways. 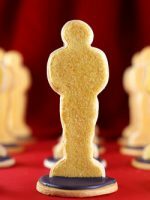 I have an affinity for individual desserts like this! Nice save! 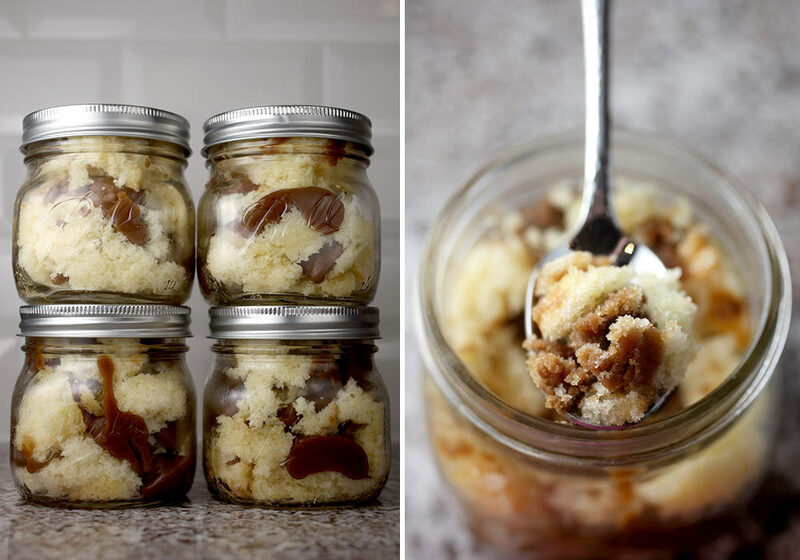 A layer cake may be pretty, but eating out of a jar is fun! AND IZZY … I could totally go for ice cream with these cakes. And bananas, too. These cakes look awesome. What a great idea! The cake looks light and airy. That caramel sauce looks wicked good. The individual portions in jars are irresistible. What a great & easy fix! Does the caramel harden a lot or is it still a little soft for chewing? This reminds me of something I saw on Shark Tank. 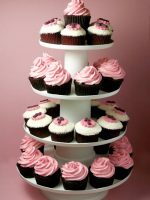 A mom and her daughter started a business with “cupcake jars” and apparently is a huge success! 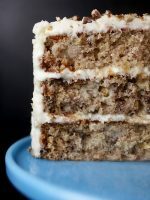 All that gooey goodness of cake and frosting and other yummy sweet stuff sounds awesome to me! Especially because with a jar I could be sure to get frosting with every bite… just stir! Thanks for this recipe and jar idea! I just tried this tonight—tastes great! This looks incredible! I’m definitely going to try it! Yum yum yum! I am so happy I could fly up and kiss the moon! Thank you, Bakerella. An honor and a pleasure to be in your sweet and wonderful kitchen. Thank you thank you thank you. Gigi would have LOVED this. I cant wait to try this one! I feel inspired!! That icing looks SO good! I wish I had it right now! 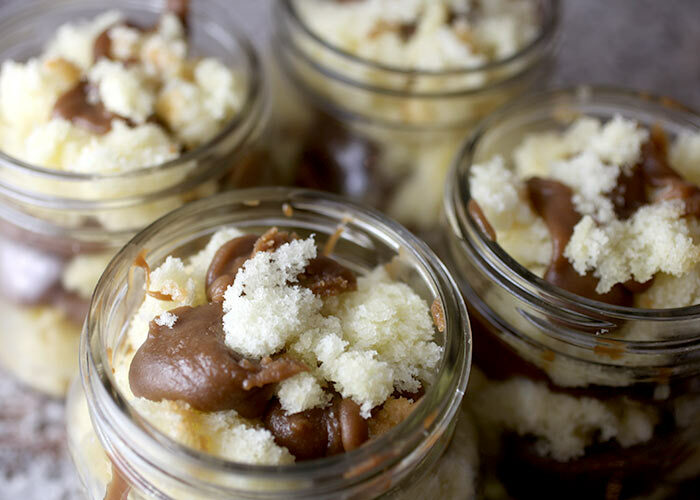 It doesn’t get better than dessert in a jar. Casual and delicious! Yum!! I love any treat in a jar, and these look so amazingly delicious! These are so cute! Anything tastes better eaten out of a jar. that looks so good! i should make these someday!! 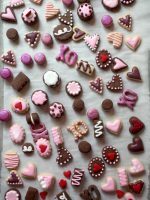 Looks yummy and sweet! 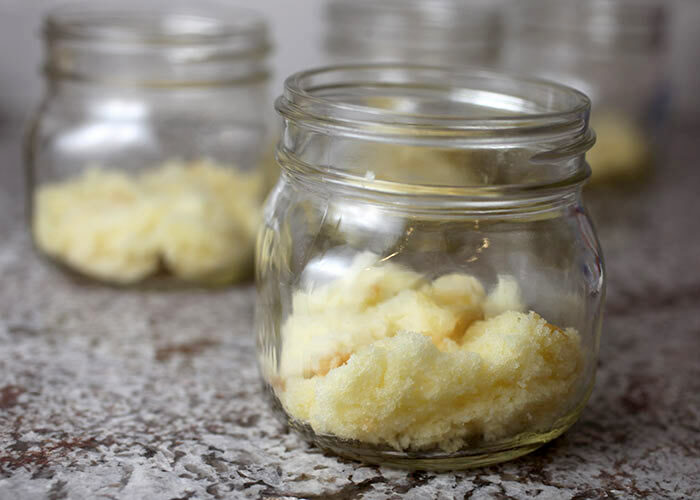 Love those little jars that you are using! 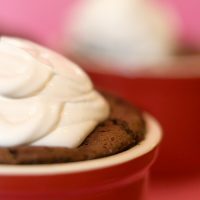 I’m gotten head out to nearby stores to buy them and give your recipe a try! Cheers!! Gosh, these look absolutely delicious. I know what I’m doing this weekend lol. I loved this idea, so cute in little jars! Where did you buy the little jars? as you keep on posting good recipe. More power! Oh my gosh what an amazing recipe! 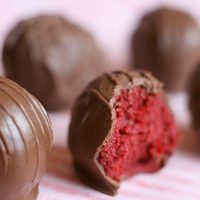 I can’t wait to try this at home, it is so easy and simple, yet delicious and delightful. Fantastic idea and very original! I have learned some new and interesting techniques and methods, I feel very ready to try making this one for the family and friends. Keep the good ideas coming! I like the idea of the cake in the jar. I was wondering if you can can these and if so, for how long? This would be great if they would last for a month or two. You never know when or where you may need them.